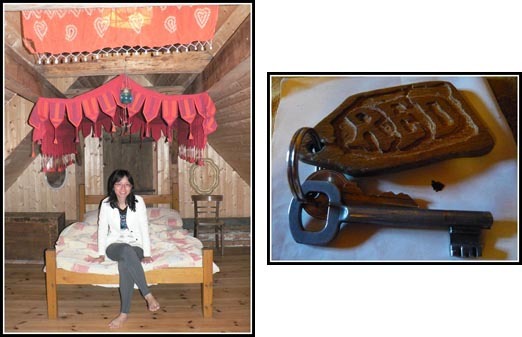 The Krumlov House is a small and cosy hostel located just outside the hustle and bustle of Cesky Krumlov town centre. It is also near the bus station where buses depart/arrive from different parts of Czech Republic e.g. Prague. If you have luggage, do factor extra time to walk towards the bus station as part of the route include a steep uphill climb. 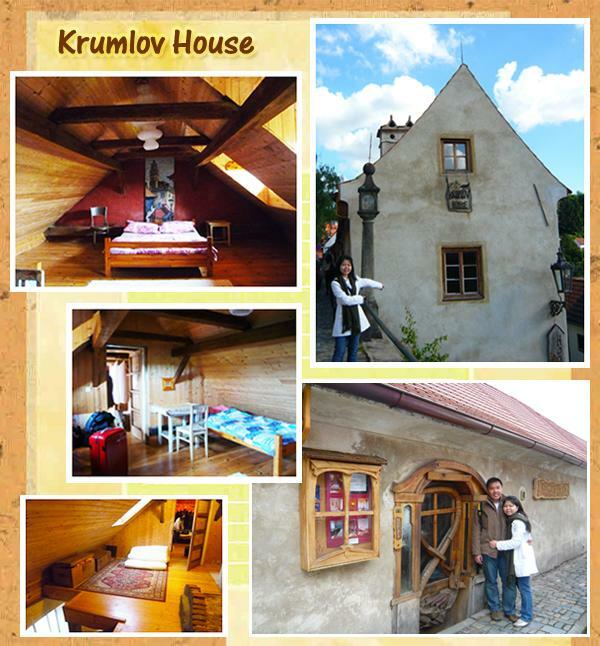 While small in size, the facilities of Krumlov House are adequate e.g. they can do up your laundry for 200 CZK / 5 kg load. There is also a well-stocked kitchen with free coffee and tea. What we like best was the free Wi-Fi available throughout the house. More information can be found on Krumlov House website. .-= kelvin´s last blog ..Beauty & the beast *puke* =-. I love cheap and unique places to go stay : ) I am going to take note of this Attic Room… but i dont think i am going to be visiting czech republic any time soon ….